I’m Ed Smith, a Sacramento Traumatic Brain Injury Lawyer. 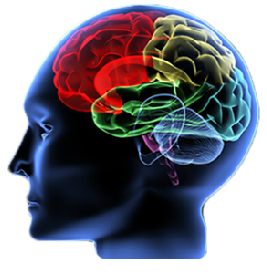 The human brain is a complex component of the human body. Even today, doctors and scientists have more questions than answers concerning how the brain functions when it is healthy and when it is injured. Given this lack of understanding amongst members of the medical and scientific community, it should be no surprise that individuals who lack a medical or scientific background also do not fully grasp the complexities of the brain. This lack of understanding and information about the brain and how it is impacted by injuries has led to the creation and circulation of numerous myths regarding traumatic brain injuries (TBIs). These myths are not harmless: a TBI patient or his or her family members who hold to these myths may mistakenly accept settlements or compensation for their injuries that are far less than what they could obtain had they been properly informed. 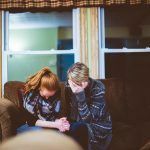 It is always advisable that you and/or your family speak with a Davis TBI attorney as soon as possible after a TBI injury to learn about your legal rights and how best to protect them. Although it is unclear where or how many of these myths began, they have been repeated numerous times and spread across the country. 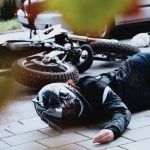 It is important to separate myth from fact when it comes to TBI injuries: only then can you make an informed decision about whether to proceed with a TBI injury lawsuit or attempt to resolve your injury dispute through an alternative means. In addition, believing a myth regarding TBIs can lead you to forego necessary medical treatment and fail to properly protect your legal interests. Fact: TBIs can be classified according to their severity and/or the mechanism that caused the TBI injury. TBIs can range in severity from mild to moderate or severe depending on how long the victim was unconscious and the extent of any amnesia experienced by the patient. The more severe the TBI, the worse the prognosis for a full recovery. Fact: Defense attorneys and others may claim that all or nearly all TBI patients will heal as a way to minimize any responsibility for ongoing treatment costs. The research does not support the myth. In fact, nearly all individuals diagnosed with a severe TBI will experience some lasting symptom or disability related to the TBI. Even those with a moderate or mild TBI may still find themselves struggling with permanent disabilities and limitations following a TBI. Fact: You are at risk of suffering a TBI anytime you suffer trauma to your head. You do not need to have passed out or have memory loss in order to be diagnosed with a TBI. Prompt medical attention is crucial to limiting the effects of a TBI, so it is important to seek medical assistance any time you have suffered a blow to head, strike your head against something or someone, or feel dizzy, faint, lightheaded, or manifest other symptoms of a TBI. When you are in doubt about whether some information you heard about TBIs is correct, it is best to consult with a doctor you trust who is experienced with TBIs. If you cannot find a doctor with this background, another professional in your area who has dealt with multiple TBIs might be able to help as well. 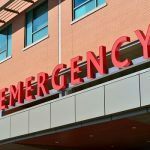 If you suffer a traumatic brain injury in Davis or elsewhere in California as a result of someone else’s negligent or careless conduct, you may be entitled to compensation. I’m Ed Smith, a Sacramento Traumatic Brain Injury Lawyer, and if your child has suffered a TBI as a result of another person’s careless or negligent actions, I want to fight for you to recover compensation to help you pay for your child’s medical needs. I’ve been helping California parents whose children suffer TBIs through the negligence of others recover financial compensation for years. Call me at (916) 921-6400 for free, friendly advice. 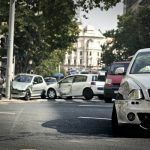 Read more about us on our website, http://www.AutoAccident.com.